Shiseido Benefiance WrinkleResist24 Day Emulsion SPF 15 75ml is an age-defence daytime moisturiser that helps protect skin from damage caused by external ageing factors such as UV rays. The appearance of lines and wrinkles are dramatically reduced, while maintaining rich moisture to the skin under even dry conditions all day long. SPF15 PA++ Provides instant smoothness and suppleness to the skin and dramatically diminishes the appearance of wrinkles and fine lines. SHISEIDO Benefiance WrinkleResist24 Day Emulsion SPF 15 75ml was found on 2 websites and was price compared using EAN: 0768614103066. 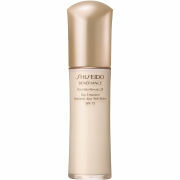 The cheapest SHISEIDO Benefiance WrinkleResist24 Day Emulsion SPF 15 75ml is shown as the main item, prices range from £0 to £68.00, excluding delivery. Price comparison based on price and delivery charges, with any valid discount codes being applied, is shown in the table above. Prices and information correct at the time of publication.